Dear Visitors! 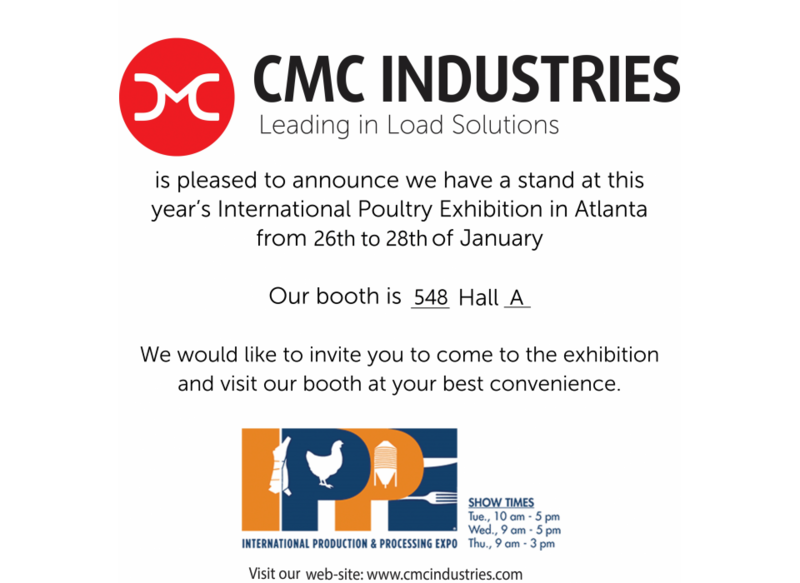 We are pleased to inform you that CMC Industries is participating in 2016 IPPE show from 26 till 28 of January 2016 in Georgia World Congress Center in Atlanta, Georgia, USA. We invite you to visit our booth number 548 Hall A where you can get information about our new products and also will be surprised to find some machines on our booth! The 2016 International Production & Processing Expo will bring together more than 1,250 exhibitors and 30,000 visitors.Hailed as the largest annual trade show for the poultry, meat and feed industries, the show focuses on Innovation - bringing together buyers and sellers of the latest technology of products and services to make your business successful, Education - learning from the experts in free- and fee-based world-class programs, and Networking - meeting new and rekindling old relationships with leaders across the industries. We look forward to seeing you in Atlanta!